Here’s our new July Android digest where we’re going to take a look at three useful solutions that can help developers create watermarks for images, improve development for apps that involve the camera on Android devices, and add shimmer effects to pages of an Android application. RubberStamp is an Android library that makes it easy for you to watermark images. It has a flexible API with multiple predefined options to make watermarking easy and fast. RubberStamp can be used in various ways, letting you customize the look of the watermark with attributes like font, color, opacity, size, shadow, and more. When you want to protect an original image. AdaptiveIconPlayground is an Android application for experimenting with adaptive icons. This app finds all installed apps with adaptive icons and displays them in a grid. When you want to customise icons for different launchers on Android 8 (which will be released soon). The Camera API in Android is difficult to work with. Having two different APIs for the new and the old Camera doesn’t make things any easier. Finally there’s a solution that can help developers handle development of apps that work with Android camera better and faster. Fotoapparat provides developers with a powerful API for working with the camera. It supports Camera 1 and Camera 2. 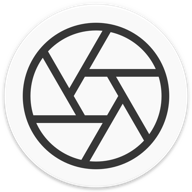 Fotoapparat is great for times when you need to work with the Android camera API, such as when processing frames or creating image previews. ShimmerLayout can be used to add a shimmer effect (like that used by Facebook and LinkedIn) to your Android application. Even animating a big layout with this component doesn’t take much time and doesn’t require a lot of memory. You can modify the shimmer color and the speed of the animation as well. When your app has a list and you want something more sophisticated than a simple progress indicator to indicate loading.